A man allegedly caught researching acts of domestic terrorism and amassing more than a dozen firearms will spend at least two weeks in federal custody, a Maryland federal judge decided today. 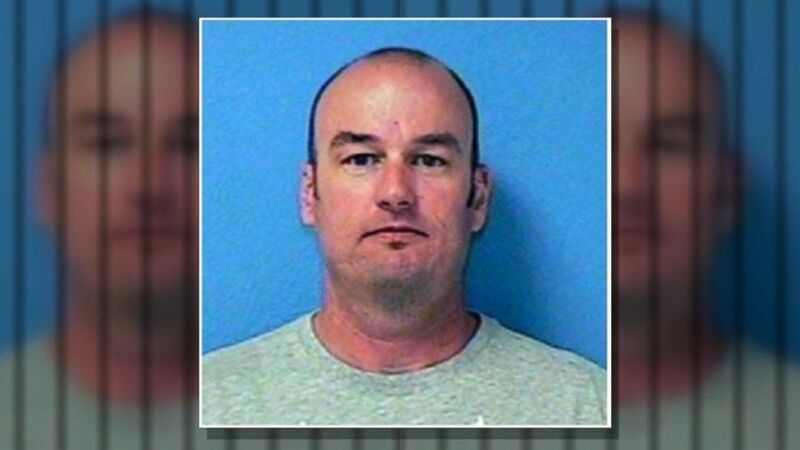 U.S. Coast Guard Lt. Christopher Paul Hasson, 49, was arrested on charges of firearm and drug possession, but Judge Charles Day said that Hasson's internet search history, as well as previous letters and emails he had allegedly written, were enough to warrant him a danger to the community. Speaking on behalf of the prosecution, Jennifer Sykes said that the gun and drug possession charges were "just the tip of the iceberg" in terms of the extent of Hasson's alleged crimes, indicating that they may attempt to charge him as a domestic terrorist allegedly planning to launch a major attack. According to court documents filed Tuesday, Hasson was described as someone who had "espoused extremist views for years." In a draft email from June 2017 he allegedly wrote, "I am dreaming of a way to kill almost every last person on the earth. I think a plague would be most successful but how do I acquire the needed/ Spanish flu, botulism, anthrax not sure yet but will find something." He was found to have been studying the writings of previous domestic terrorists and was particularly interested in that of Anders Behring Breivik, a Norwegian terrorist who killed 77 people in 2011, prosecutors alleged. The defendant also allegedly compiled a list of prominent Democratic lawmakers as well as journalists from CNN and MSNBC. Names on that list include presidential candidates Sens. Elizabeth Warren and Kamala Harris, as well as MSNBC host Joe Scarborough and CNN's Van Jones. The documents further showed that since 2017 Hassan had compiled 15 weapons, some of which had the capacity for extra magazines, and over a thousand rounds of ammunition. The weapons were found in his home in Silver Spring, which prosecutors say he had been leasing since 2016. Investigators also found over 30 bottles of HGH, human growth hormone, which followed Breivik's recommendations to bulk up in order to maximize one's physical strength during an attack. At the time of his arrest, Hasson was serving in the Coast Guard Headquarters in Washington, D.C., and had served in that position since 2016. Hasson also served in the U.S. Marine Corps from 1988 to 1993 and spent two additional years in the mid-nineties in the National Guard, records showed. Sykes also revealed that there was video showing Hasson taking those controlled substances while at work. Hasson's attorney, Julie Stelzig, sought to characterize the prosecution's argument as overblown, calling it "histrionic." "These are very serious words," Stelzig said of the prosecution's claims that Hasson intended to murder innocent civilians. "Even more extraordinary was the lack of actual substance backing up the assertions." Stelzig also accused the government of submitting the court filing "in order to bring enormous media attention to the case" and convince the judge that Hasson should be detained and not released. The defense noted that the charges Hasson was actually facing -- possession of a firearm as either an addict or an unlawful user of a controlled substance, and a misdemeanor possession of the synthetic opioid painkiller tramadol, were charges that did not carry the presumption of detention, meaning that the prosecution had the burden of convincing the judge that he deserved to be detained. Stelzig downplayed Hasson's alleged stockpile of 15 guns and 1,000 rounds of ammunition, which were presented as evidence during the case. "I can assure Your Honor that there are people in many parts of this country with whom this collection of guns would be modest at best," Stelzig said. She told the judge Hasson's search history did not reflect that of someone intent on committing an act of terrorism, arguing that he had not gathered home addresses for any of the public officials he had listed. "We are not yet a country that criminalizes people for their thoughts. Even their darkest thoughts," Stelzig said. "We are not yet a country that detains people for their internet searches." Day based his decision on four factors: the circumstances of the offense charged, the weight of the evidence, some ancillary factors including his otherwise spotless record and service to the nation as a Marine veteran and member of the Coast Guard and National Guard, and the presumption of innocence relative to the government's assertion that his internet searches show him to be a danger to the community, "which is where the government is laying its hat," he said. The judge said both the prosecution and defense had made strong arguments but that he took issue with the defense's suggestion that the prosecution had filed a motion for detention in order to "drum up media interest and potentially to influence this court." "I don't know about the former but I can assure you the second is not accurate," the judge said. He said his ruling -- that Hasson should remain in federal custody for at least 14 days -- came with a "caveat" that after those fourteen days, if the prosecution has not yet charged Hasson with any of the other criminal activity they alluded to today, Hasson's defense would be allowed to return to court and argue again for his release.